Research shows that employee engagement has a direct link to their productivity, and thus the company’s progress. Teamwork and open communication are the most important factors for boosting employee engagement. But how can organizations achieve this, while making sure their teams absorb and retain the insights? Most employees claim they can relate much better to experiences than statistics and presentations. This is why companies are turning to outbound training. With this method, teams learn through their experiences, as they participate in adventure activities together- super fun and sneakily productive! We have a huge catalogue of activities to choose from, for your team! Here are some options for corporate outings near Mumbai. Your team shall be using all their co-ordination skills to manoeuvre the raft. Even falling into the water turns into a good laugh! 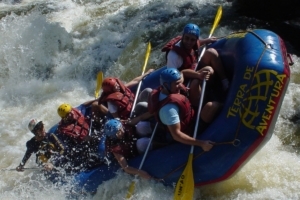 Take your team to a thrilling rafting trip that goes over Grade II-IV rapids on the mighty Kundalika river. Just a 2-hour drive away from Mumbai and Pune, Kolad is one must visit weekend destination. 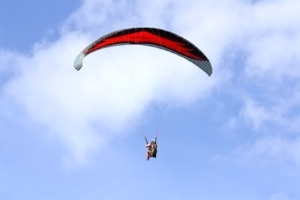 What if one could experience the thrill of paragliding without learning it? A tandem ride lets inexperienced participants try the sport! Your team members will love this experience. Participants can fly like a pro over breathtaking scenery, thanks to an experienced tandem pilot and state of the art equipment. Let the pilot do the work while you enjoy a bird’ s eye view of beautiful hills & green fields. Climbing is overcoming a hurdle in the literal sense. 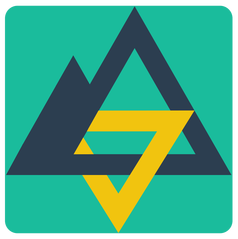 You often encounter obstacles and to get to the top, you can probably only push harder or somehow work around it- Problem Solving 101. We have Rock Climbing, Abseiling (using ropes to climb down rocks), Bouldering (a free-hand climbing technique) and much more! Nature is a wonderful teacher. Maharashtra has an abundance of landscapes waiting to be explored. 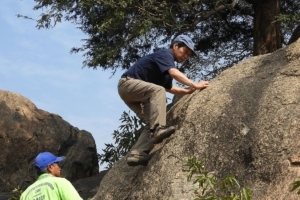 Trekking is a wonderful way to make sure your team gets physical exercise, as well as some food-for-thought. They can spend the evening gazing at the stars, enjoying a delicious barbeque and bonding around a campfire. 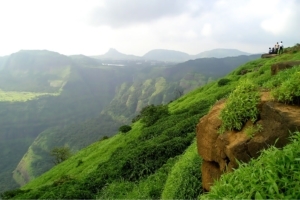 We have treks all over Maharashtra- Rajmachi, Kalsubai, Kothaligad, Gorakhgad and Andharban, are just a few. Name it and you have it! Sometimes, all your team needs is a weekend of relaxation and rejuvenation. A peaceful setting, with beautiful pools and cozy rooms, is great for open, stress-free conversations and bonding sessions. We would love to plan the celebrations for your next big achievement. Or to help prep for the challenges ahead! Leave all the organising to us, so you can focus on enjoying the party. Best Season: We are always up for partying! Like we said, these are only some of the options available. We are always happy to customize any of these activities or organize team adventures in any other location you fancy!